Local Japanese Americans who remember “China meshi” from the old Far East Café in Little Tokyo can once again savor the flavors of chow mein, pakkai and homyu at the Far East Feast, a mini-fundraising dinner for the Grateful Crane Ensemble to take place on Saturday, May 20, from 4 to 8 p.m. at the Pasadena residence of chef John Nishio. Like many Nikkei who miss the flavors of the old Far East, Nishio, a Sansei from Pasadena who has fond childhood memories of Botan rice candy and grumpy waiters wearing greasy aprons, has been looking up and down the state, across the country and around the world for something close to Far East food, but with little luck. That’s when he decided to re-create the flavors of the Far East himself. 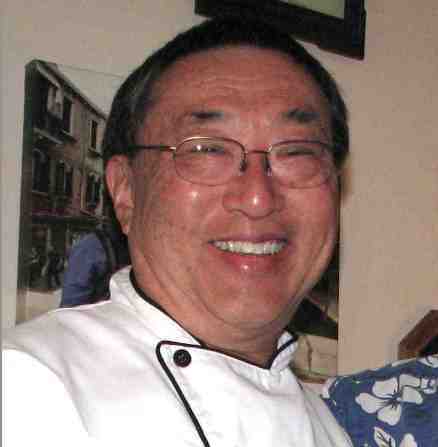 Using his culinary skills and memory, Nishio has been working for the past several years at perfecting Far East favorites such as chashu, pressed almond duck, seaweed soup, shrimp with lobster sauce, ginger beef, mabo dofu and the aforementioned homyu, chow mein and pakkai. Nishio told Soji Kashiwagi about what he’s been doing, and Kashiwagi thought it would make a great fundraising dinner for his nonprofit theater group, the Grateful Crane Ensemble. Along with a nine-course dinner, the evening includes a tour of Nishio’s backyard Japanese garden, a viewing of a Japanese American historical video (produced by Nishio), and entertainment provided by Grateful Crane singers and musical director Scott Nagatani. 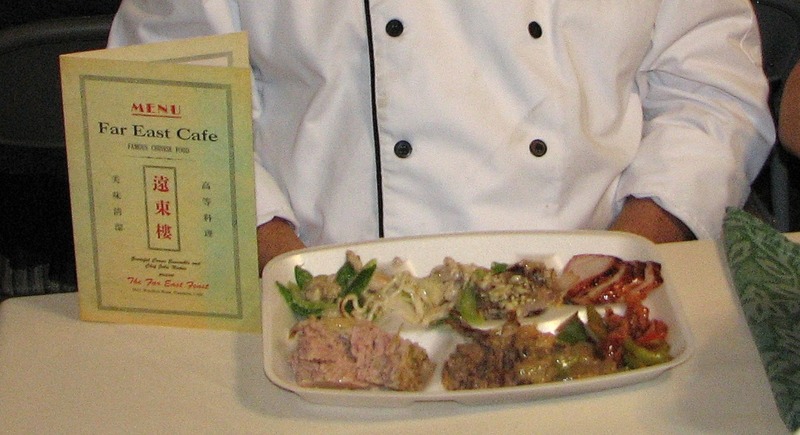 During the meal, attendees share family memories of their days eating at the Far East Café, and enjoy comparing the tastes of Nishio’s re-creations to what they remember from the Far East. Tickets for the Far East Feast are $125 per person. Seating is limited to the first 16 people. For information and reservations, call the Grateful Crane hotline at (310) 995-5841. 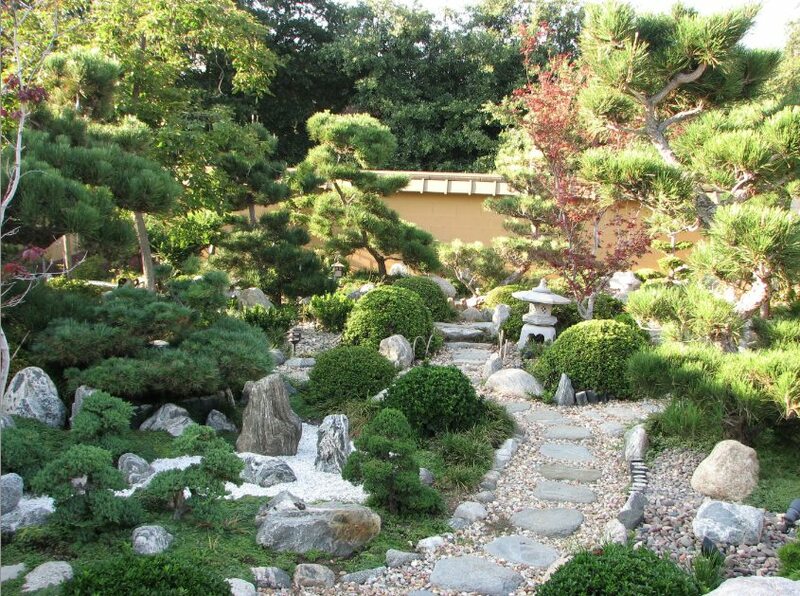 John Nishio’s backyard Japanese garden.